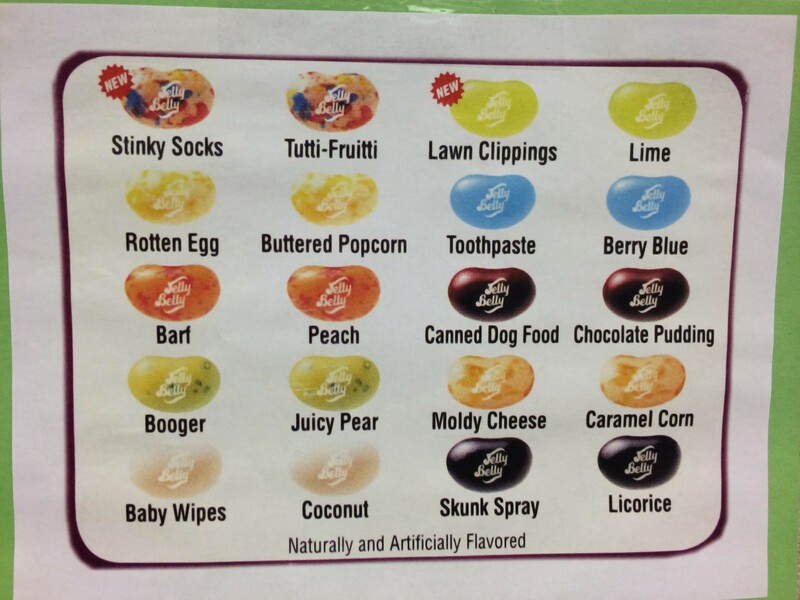 Bean Boozled Jelly Beans are sure to have you and your friends laughing at the ridiculous flavours! 1. What flavour will you get? 3. Lower lid - bean magically appears! 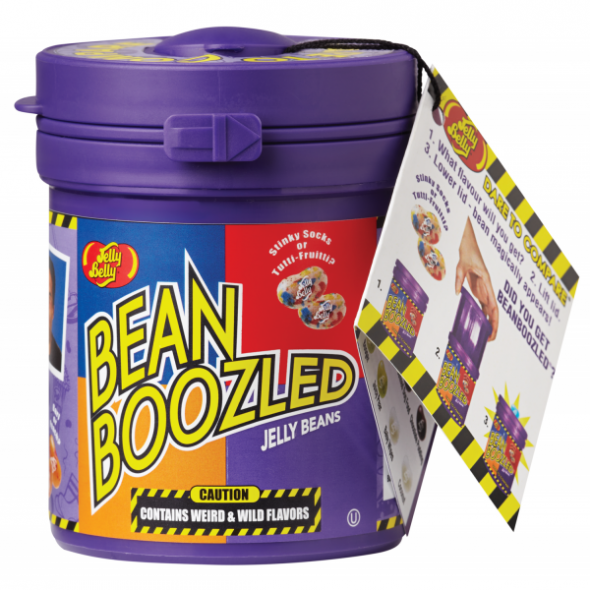 Bean Boozled Jelly Beans are sure to have you and your friends laughing at the ridiculous flavours! 1. What flavour will you get? 2. Lift lid 3. Lower lid - bean magically appears! Will you get Buttered Popcorn, or will it be Rotten egg? Do you dare to compare? 3rd edition includes 2 new flavours, Stinky Socks and Lawn Clippings.